Want your best possible results? Start with a Challenge Pack. A Challenge Pack is the most effective way to transform your body. It bundles one or more of our premium nutrition products like Shakeology, a fitness or nutrition program, and 24/7 support from a community of people devoted to helping you get your best possible results. Choose from a variety of fitness programs from cardio and strength training to dance and yoga. If you've already completed your program, the hard part is over! To enter the contest, send us your "before" and "after" photos and measurements, and share your story by clicking the button below. We'll send you a FREE SHIRT*, and you'll be entered for a chance to win the $100,000 Grand Prize. Enter the contest. Get a free shirt! This year's free shirt is like a badge of honor. 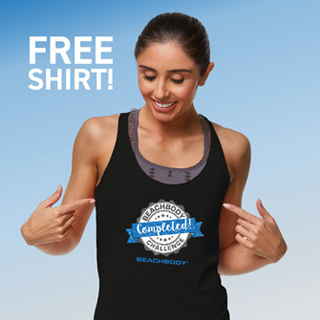 Wear it proudly for completing a challenge and getting closer to your goals. See photos and more details about this year's exclusive, limited-edition gift. It can't be bought. It can only be earned. Limit: one gift per contestant per year, and only while supplies last. Meet our most recent contestants. They achieved their goals with Beachbody programs and entered their results for a shot at the $100,000 Grand Prize. See their stories and get started today! Results vary depending on starting point and effort. Many of our contestants are independent Team Beachbody Coaches. †Results vary depending on starting point and effort. Exercise and proper diet are necessary to achieve and maintain weight loss and muscle definition. 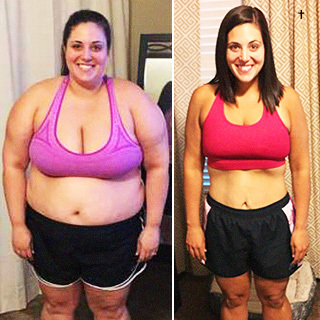 The testimonials featured may have used more than one Beachbody product or extended the program to achieve their maximum results. Many of our contestants are independent Team Beachbody Coaches. *Free gift offered while supplies last. Void where prohibited. Open to legal residents of the 50 United States (incl. DC), Puerto Rico, Canada, and the United Kingdom, who are Team Beachbody members and are 18 years or the age of majority or older at the time of entry. Contest begins 12:00 PM PT on 1/2/19 and ends 11:59 PM PT on 7/18/20. Odds of winning depend on the number of entries received, the quality of a contestant's submission materials, community voting, and sponsor's application of the judging criteria. Total prize ARV: $358,800.00. For complete rules and eligibility requirements, see here. Sponsored by Beachbody, LLC in the United States, Beachbody UK Ltd. in the United Kingdom (as the promoter), and Team Beachbody Canada LP in Canada. Consult your physician and follow all safety instructions before beginning any exercise program or nutrition plan, or using any supplement or meal replacement product, especially if you are pregnant, breastfeeding, have any medical condition, or are taking any medication. The contents of our website are for informational purposes only, and are not intended to diagnose any medical condition, replace the advice of a healthcare professional, or provide any medical advice, diagnosis, or treatment. © 2019 Beachbody, LLC. All rights reserved. Distributed in the U.S. by Beachbody, LLC, 3301 Exposition Blvd. Santa Monica, California 90404. Beachbody, LLC is the owner of the Beachbody and Team Beachbody trademarks, and all related designs, trademarks, copyrights, and other intellectual property.